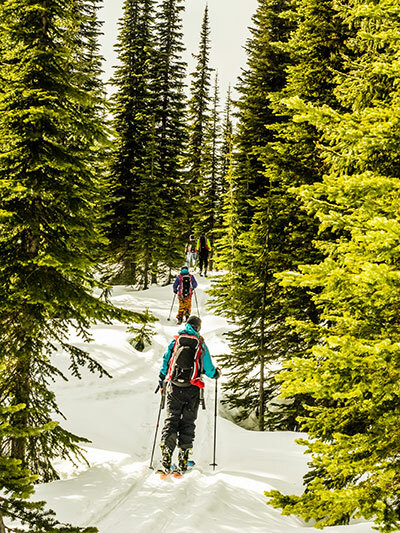 Paul Rappaport scanned the dense Montana forest and called out the names of the trees to the five skiers who were trailing him: Cottonwoods, Tamaracks, Lodgepole pines. A loose string of rabbit prints interrupted the skin track before him. He stopped and beckoned the rest of the group to circle around. They slid up and peered down at the snow. Coyote? Mountain lion? Rappaport quieted the eager guesses. He told them to take a moment to really look at it. Did they see four digits or five? What kind of shape was the heel pad? And how about the spacing between prints? What does that reveal about the animal's habits? About its state of mind, even? Rappaport is the geology teacher and academic coordinator at Ridge Mountain Academy in Whitefish, Montana, a new breed of schooling aimed toward outdoor athletes that opened its doors on January 5 to an inaugural class of five students. Ridge Mountain Academy uses a semester-based holistic curriculum to produce confident and healthy outdoorsmen and women. The program is situated at the center of a Venn diagram between educational adventure programs like NOLS and Outward Bound, ski-racing academies, and more traditional gap-year programs. It's part outdoors safety and wilderness education, part rigorous snowsports training, and part structured, safe self-exploration for students ages 17 to 20 as they feel out the unfamiliar territory of adulthood. 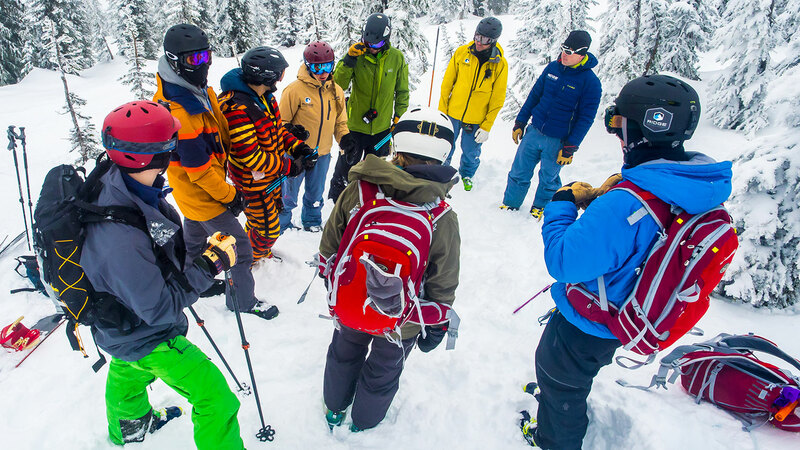 "Adolescence is really damn hard," says David Steele, a Ridge ski coach and journalist who has coached for Whitefish Mountain's freeski program. "The excitement I have [about Ridge] is to pass knowledge along and help young people find success and self-esteem in the things they care about, in a way that where they’re not putting themselves at huge risk… Mountain safety is not exceptionally complicated when you look at what people learn in school, like chemistry or calculus. You just need a different classroom." Ridge can be that classroom—at least that's Ridge founder Billy O'Donnell's idea. "The idea came from trying to give back to the next generation of athletes," says O'Donnell, who is a professional skier based in Whitefish and holds master’s degrees in both Business Administration and Global Studies from the University of Denver. He says "The main part is them knowing that they have time here to try to grow, to gain confidence, and to learn more skills in what they love." Ridge offers what O'Donnell describes as on par with Division 1 collegiate training in eight outdoors sports and almost every type of skiing you could think of, including freeskiing, backcountry touring, alpine, nordic, and ski-mo racing. These offerings, ambitious for such a small school, are backed by the amount of time student-athletes get to spend one-on-one with the five full-time coaches and the intensity of the comprehensive program, which includes fitness training and nutrition education. Off the hill, students can finish their high school degrees through online programs like the Keystone School, complete college-level courses from schools including Brigham Young University and Colorado State, or enroll in classes at the nearby Flathead Valley Community College. Steele, who has a degree in creative writing from Pacific Lutheran University, also hopes to start a book club-style course to share the literary classics that he says have deepened his perspectives about life among mountains. About four years ago, O'Donnell began dreaming of opening up his own snowsports school. His nephew, Quinlan Conroy, who is a member of the inaugural class, says "even longer than that, Billy's been on track with this. It's kind of what he's good at. He's a master at a lot of different sports and getting other people to go at it." O'Donnell settled in Whitefish last year and started hiring various teachers, coaches, and health experts from the local community. "It's a relationship-based environment," O'Donnell explained, "so I tried to pick a staff that has felt euphoria and connection from being outside. As they work with the student-athletes, that will come out." When O'Donnell reached out to Rappaport last winter, the geologist had recently moved back home to Whitefish after leading educational trips in Glacier National Park for seven years. Rappaport, who has a master’s in geology from the University of Maine at Orono and 20 years of experience teaching geology, started his educational career at Killington Mountain School. 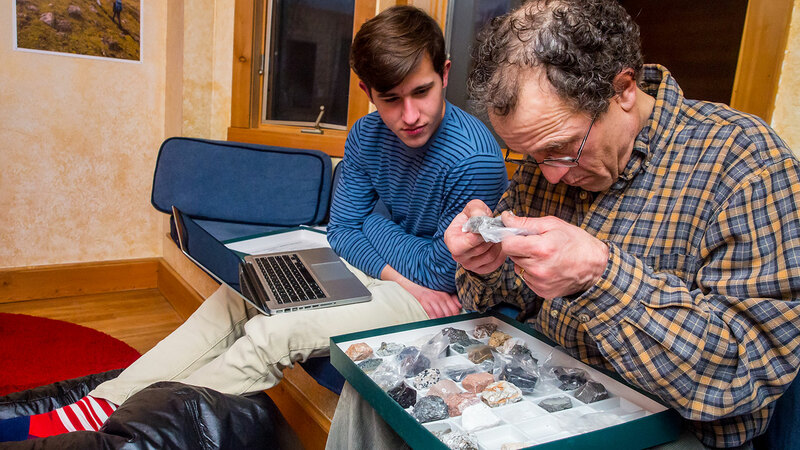 He was drawn to Ridge because, as he says, "For me it is a lot more than teaching geology. It's also providing an example of healthy living and wise choices." Even so, the educational component at Ridge is what steps furthest outside the well-worn spectrum of gap year and wilderness trip combos. In addition to a wilderness medicine course and AIARE Level 1 avalanche training, there's Geology 191, a mountain science field course accredited through the University of Montana that Rappaport and O'Donnell designed specifically for Ridge students. The class covers snow science and geology by taking students on regular field trips into Glacier National Park to observe the plants and wildlife firsthand, collect data, and practice safe backcountry travel. By examining a set of rabbit tracks in the woods, Rappaport aimed to teach his students how to read the forest using terrain, flora, and fauna—a wilderness literacy that has obsolesced since Teddy Roosevelt's cowboy days. "No 18-year-old really learns about this," says Matt Gault, a Ridge student-athlete. "Kids are uninformed about their environment. But you need to know this stuff; it's valuable information." Gault left his home in a Maryland suburb near a hill with three chairlifts hungry for Montana's mountains and intrigued by the way Ridge "teaches people how to handle outdoor life." Back East, Gault works at a snowboard shop. He wants to study business so he can open up a shop of his own after college. "The knowledge I will have after these four months at Ridge will put me in the place I should be in life." For Vermonter Timmy Palthey, Ridge materialized at a big crossroads when he realized he wasn't ready for college last fall. When he heard about Ridge, he decided to follow his gut and head west. At Ridge, he's testing out a different path as an intern with the Whitefish Mountain Resort ski patrol. Recently, Gault and the other student-athletes competed in their first ski-mo race at Teton Pass. "All the students here get to throw around our own opinions. We are the first kids to be part of Ridge, and we are making it what it's going to be in the future. I think Ridge is going to blow up…if people find this opportunity to learn, they're going to take it." O'Donnell plans on it. He hopes to grow the academy out to 30 students in the next few years and will continue expanding beyond that. Someday, far more than five young skiers will be exploring new paths deep in Montana wilderness and looking down together at something unfamiliar in the snow.